Will visiting someone’s Facebook page put you on their “People You May Know” List? This question stifles many an investigator, and the official stance of Facebook is that it does not report to any Facebook user who’s visiting their Facebook page. Furthermore, it also ensures that no third party Apps can do so either. So the good news is no, your ex-girlfriend can’t see how many times you’re checking out her page to see if you have another shot. However, there is a feature on Facebook called “People You May Know”, which shows up in the same place on your Profile where “Friend Requests” is located. That could very well act in a similar way to inform someone you’re looking at their profile when they are not friends with you yet. If you don’t see it near the top-right corner of your page right away when you login, try clicking on News Feed on the left, or Home in the top-right corner. You might want to consider other mutual pieces of information like places lived, hometown, high school, etc. Perhaps if “Vicky and Irwin” went to the same high school and Irwin visits Vicky’s page frequently, that might trigger the “PYMK phenomenon”. I tried the experiment as well and could not trigger anything in pymk. everyone listed were really mutual friends. another theory on odd people in pymk could be groups you both belong in or pages you have both liked. I think the time span in which you ran the experiments might have been a factor. Facebook might cache the friendship recommendations for quite a long time, and only generate new ones relatively rarely. Before Facebook had its public profile preview option, I used a fake profile to check out what strangers could see on my main profile. I took care to hide the fact that the accounts belonged to the same person from Facebook: I used a proxy when logging in with the fake account, of course used a completely unconnected e-mail address, and even used a different browser that I don’t ever use otherwise (IE, hehe). I used the fake account exactly that one time, and never logged in to it again. But about half a year (!) later, the fake account suddenly appeared in the People You May Know list of my main account. There was no connection other than that one profile visit: the fake account had but a name and e-mail address (i.e. no location info, in addition to a proxy IP from a different country), and it had 0 friends. Literally, all it ever did was be registered, activated, used to visit one profile, logged out, and forgotten about. I couldn’t think of anything that could have given Facebook the idea that these two accounts might be related, other than the visit. Of course there are many factors that can get people to show up in the list, so the scenario where this even matters is rare. It will only matter for people whose profile you visit without having any connection at all. You don’t live in the same town, you never worked for the same company, never both went to a certain event, don’t have any common interests listed, have no friends (or friends of friends?) in common at all, etc. – only then could you appearing in their list tip them off that you visited their profile. I’ve done something similar to yours. But I never saw my fake account. I did just see a old gf in friends you may know. When we dated Facebook wasn’t even around. Geez, texting just came out. So, did she look ? Hi, How about this scenario. I visited a profile of someone I vaguely know but am not FB friends with. Certain (basic) things showed up, but not everything. I liked one of their links they had put on a mutual friend’s page, but still only their basic stuff would show. But now all of a sudden e erything is showing to me, even though I’m still not their FB friend. To make sure they hadn’t nust suddenly made everything public, I got a friend of mine to check their page and it just showed them the basic stuff. So, they haven’t changed their profile, yet I can see their whole profile. How? 2 girls i’ve been chatting with, on tinder, showed up one day and we dont have any mutual or live anywhere near eachother. I could think it’s facebooks way of telling you, you got a new stalker. Maybe it only trigger on first time visits? I truly believe that facebook has set the algorithm to include visitors to your page in the PYMK . I have seen people in there that I have absolutely no facebook connections with – a man I had a coffee date with 3 years ago, my building caretaker etc. When I mention this to others they agree that they have this same thing happening. Even with people I do have connections with I suspect the fact that they have visited my page adds to their likelihood of getting in the PYMK column. I think facebook needs to stop this part of the algorithm. If you have your cell phone number linked to your facebook account, all contacts, past and present, will be synced with Facebook. If you go to the PYMK page, you can get to the imported contacts list from there. 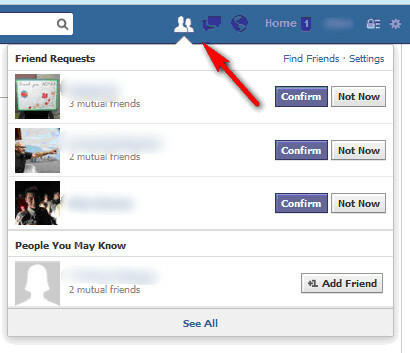 All imported contacts who are on facebook, but are not facebook friends, will be listed in the PYMK list. This explains why you may see your landlord, etc. There is one person on my you may know list that I am not friends with or anyone I have on my friends are friends with. I do think though that this person would have looked at my page. You’d have to give me a pretty good argument to convince me the people you may know section doesn’t include people that have looked at your profile. I just made a new Facebook for work reasons.It’s been 3 years since I deleted my old account and after a week of only befriending my work place my PYMK is filled with people I know. The only thing that this page has is my work place, a picture of myself and my name with a different spelling. The email I used is brand new and was created for this new Facebook page. The strange thing is people are appearing on my PYMK that I only met after I deleted my Facebook. Facebook defiantly uses more then they say when calculating PYMK. I am so glad I found this site. However I have to say it is not a coincidence. It can’t be because this has happened to me many times consecutively. For example, there were 3 separate instances where I where met up people only to find them showing up on my PYMK list the day after. I have even set up my settings to only permit people with mutual friends to be able to befriend me. So there is no reason for them to show up on my PYMK list, as none of my friends know any of them. I know this, because I only have 25 friends most of which are family and best friends, and I know who sees who in my life. Now I can only imagine me appearing on the PYMK lists of all my ex’s and colleagues and coworkers who I search for every once in a while out of boredom. And if this is the case, they will all think I am some creepy stalker constantly lurking their pages. WTF FB, please stop doing this or at least tell us what is going on. Ughhh FML. I was visiting someone’s profile, almost daily, and they began popping up in the PYMK list. When it finally dawned on me that I may be popping up in their list, and we have 0 friends in common, I blocked them for a while. They still come up in my search bar, which is very annoying. Wish there was a way to get rid of that. And I wonder, will I continue to pop up in their PYMK feed, after I block them for about a week and then unblock them? Also, will they pop up in my PYMK feed if they view my profile (after I’ve blocked them for a week and then unblocked them)? If they are listed in your phone contacts, and your phone is synced with Facebook, then they will show up in your PYMK list. Thanks for the comment. I can’t independently validate it but definitely will do so when time permits. I looked at a profile of a woman that was on a friends “friends” list one time. A couple of days later I got a message via Facebook from this person wanting to know who I was and why I was looking at her profile. So there must be some program out there that can inform people that they have been viewed on Facebook. It should not be possible, Facebook doesn’t make that data available to apps. There are a lot of apps claiming to do just that, but they’re usually scams that just try to get access to your Facebook account. The only way they could technically work is if two users use the same tool, which is when that external app could find the connection. My best guess is that you showed up in her PYMK, and she just took a guess as to why you did. I’m curious to know if you search for someone that is not your friend AND visit their profile if that would make a difference. Not sure why it might but it may show Facebook that you are actively searching for that person, rather than a few to multiple visits on their profile. I noticed that people I chatted on whatapp appear in the PYMK. I do think that it works both ways. If you have looked at a profile or if that person has looked at your profile, they appear in People You May Know. FB should get rid of this algorithm. Here’s a spooky thing. There is a person I know who I am pretty sure had a crush on me. We are not Facebook friends and only have 1 mutual friend. He showed up in my people you may know list a couple times, then went away. I deactivated Facebook for a week (the election stuff was getting to me). Then, he started saying stuff about Facebook a bunch randomly – I have never heard him even talk about it before, he doesn’t seem to use it very much. Out of curiosity, I reactivated my Facebook account. AND THERE HE WAS, at the very top of the “people you may know” list! He must have searched for me while I was deactivated, and couldn’t find me. Facebook must use your search results for PYMK and cache them, even when the person you are searching for has deactivated. So messed up.